Sometimes building a small business can seem like an uphill battle for many entrepreneurs, especially in the beginning. It can seem that as one problem is resolved another pops up. But the good news is that you’re not alone in these challenges. Growing pains are common, but there are several ways you can climb out of a rut and begin to expand your horizons. When I had opened my first cafe in San Diego, Lil’ Miss Muffins, and was in massive expansion mode (five locations were opened in the first two years of business) I was also running marathons which became a great metaphor. Every small business owner remembers a time when they were overly optimistic, when they believed they could create something new, different and exciting. As a marathon runner, I believed I had the stamina to run the 26+ miles of starting a business, knowing that all I had to do was keep my eyes on the mile markers and I would succeed. Having been in computer system sales for six years, I decided to create something of my own that better reflected my personality – not selling a $$$$ computer or wearing an expensive business suit – it was creating a 89-cent muffin. As a health advocate and someone who loved good food, I was always looking for the perfect bran muffin. Also, I saw a great need for quality muffins/breakfast fare amongst the fast growing health-conscious business people. Following a passion is a positive first step, but more than enthusiasm or excitement is needed. We’ve all heard the five year rule – most businesses fail in the first five years. 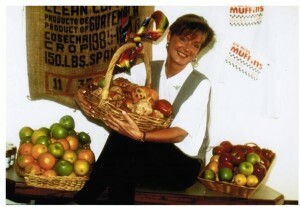 Lil’ Miss Muffins started January 1, 1987 and the final of the five locations, Cafe in the Park – located in Balboa Park, was sold in July, 2005. My success story led to co-authoring The Idiot’s Guide to Starting and Running a Coffee Bar, and my author status took me to where I am now as a digital marketer for authors, speakers, coaches and small business owners. While I made it past the five year mark and continued creating success, it was an up and down hill journey – never a straight line up. You just have to make sure that the overall is a gain and it does get easier with time. Often though, that doesn’t happen due to culprits that include lack of planning and lack of financial resources during the lean start up time. With a good solid road map you can avoid many of the bumps in the road, while keeping realistic ideas of the initial financial return and having backup cash resources in place. 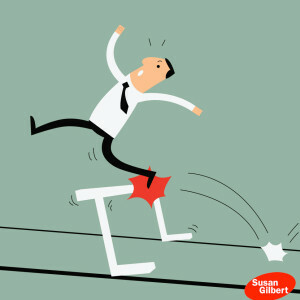 What are the biggest issues that small businesses have and what can you do to overcome them? It’s one thing to know the basic elements of marketing, but another to actually implement this. Perhaps executing a daily strategy seems overwhelming, and for many this might be stopping them from fully taking advantage of establishing an effective presence online. Doing the right target market research in the beginning will help your business become focused along with resources and tools to help you. For example, Hootsuite allows for scheduling and monitoring of your social media updates in Facebook, Twitter, LinkedIn, and Google Plus. Canva is a free graphics tools that helps you quickly and easily create memes and images. Find out which tools can work best for your marketing and start there. Don’t hesitate to reach out and find some help when the budget allows. Places like Fivver, oDesk, and Freelancer include hundreds of talented individuals at an affordable cost. In the beginning your business may have been thriving on one or two main clients who have served you well. But what happens if one or more of these accounts fail? Make a plan to build up your business, which may entail reaching out to your existing contacts or LinkedIn for leads. A professional website with a strong call to action will help you along in this process, along with great followup on leads from your subscriber list and on social media. New connections and professional groups on LinkedIn can also help your business open new doors as you begin to network with your community without a “sales pitch” approach. If your business day entails working on projects over focusing on how to build then you’re doing a good job of keeping the machine running, but not enough in maintaining it for the long haul. It’s important to set aside time each day to evaluate your progress, make necessary adjustments, and meet with your team to go over updates. A solid plan of action will help you become more focused and time efficient, which will move you closer to your goals. Take a look at what other companies in your market are offering, and based on your research determine whether your business is offering too low or too high of a price. Make adjustments gradually, and add something new to please your existing client base. In this process you can attract new clients just by going above and beyond what the competition is doing, which creates word-of-mouth marketing for your business. Work toward creating innovative ideas will help you offer something of value and keep your business fresh. It pays to take the time to conduct research, take classes, attend webinars and seminars, and build your knowledge base. A lot of this can be done for free, and your involvement can become a networking opportunity as well. Don’t hold back when it comes to asking questions of those in your industry who are already successful in their businesses. People generally enjoy sharing what they have learned, and know what it is like to start a new venture. Stay focused on one thing at a time in order to avoid becoming overwhelmed with information. If you learn just one new thing each day, you’re that much closer to achieving success in your business. The beginning to creating a profitable business is understanding what needs to change and why. By creating an organized plan of action you can move toward thriving instead of just surviving. Know ahead of time this is a process, and make time to refresh yourself and your creativity while delegating tasks in order to remain focused.